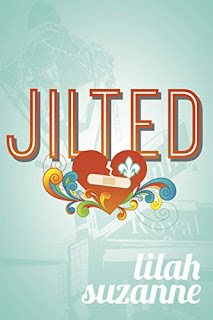 Objectively speaking, JILTED should be the kind of story I would enjoy. A romance that starts with a bolting bride and is full of quirky queer characters. If I described what happens in the book it would sound like a mash up of “Being Alexander: a Novel”, “The Bone People”, and the movie “Addicted to Love”, all of which I enjoyed. Unfortunately, I found the actual prose strangely dispassionate. The narrative is omniscient for pages at a time, and when we see into Carter’s head he is always thinking and feeling basically the same things. The humor, wit, and angst never seem to be quite sharp enough to pierce the overall impression of “meh”. My rating reflects that there is nothing objectively less-than-competent about the book, but I simply cannot say that I really enjoyed reading it.